For the first time ever, you will see a film where a live-in relationship takes place along with the family! 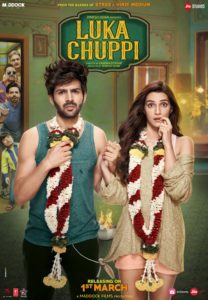 We are also in for a treat with the quirky pair of Kartik Aaryan and Kriti Sanon in the lead roles, onscreen for the first time ever. The much loved posters featuring Kartik Aaryan and Kriti Sanon created a huge buzz on the internet. From the sneak peek via the trailer, we can tell that the chemistry is going to be electric. The film is set in a small town of Mathura in Uttar Pradesh. What happens when you decide to live in with your partner but your family joins in too? This living situation often lands the couple into trouble and there begins the comedy of errors. With an unconventional storyline and fresh pairing, Luka Chuppi is a total entertainment package and looks like one of the most promising films of 2019. Maddock Films, founded by Dinesh Vijan, is known for its content driven films, and has delivered films like Cocktail, Hindi Medium, Stree and now is back again with this new age project – Luka Chuppi. The film also stars Pankaj Tripathi, Vinay Pathak and Aparshakti Khurrana in pivotal roles. 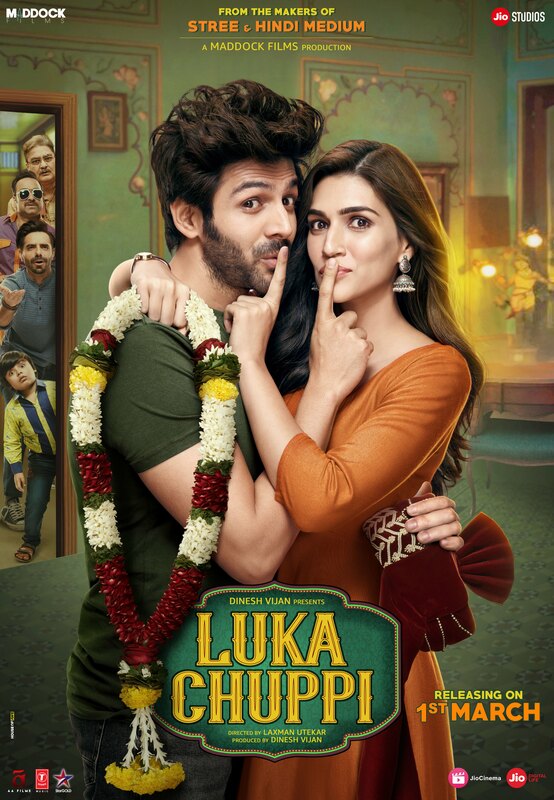 Dinesh Vijan presents ‘Luka Chuppi’, a Maddock Films production in association with Jio Studios, directed by Laxman Utekar, starring Kartik Aaryan and Kriti Sanon in lead roles is slated to release on 1st March, 2019. 17 queries in 0.471 seconds.